i whish a happy 2019 for all here at naturescapes!!!!!!!!!!!!!!!!!!! a young bokermannohyla luctuosa treefrog SVL of about 2cm. adult reaches a SVL of 4 to 7cm. interesting to know , this species is an after hours habit treefrog, starting to appear after midnight and male starts to sing usually at about 2 o'clock in the night !!! near my house , mantiqueira mountains . Beautiful image, excellent pose and angle on the subject, lovely setting. Happy new year to you! Great comp, angle, bg, and nice job with the light on a nocturnal sp! 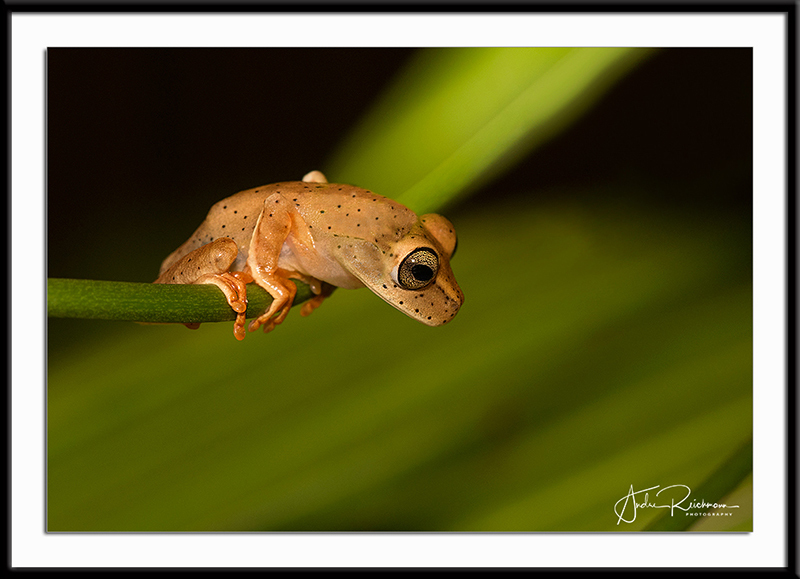 What a superb image of this beautiful little tree frog, Andre! Absolutely stunning. Happy new year Andre, great looking frog, like the pose and eye detail. An interesting composition with the sharp eye placed in the centre of the image. Great image of a small nocturnal subject. Happy New Year to you, Andre! This shot is so endearing! Really superb in every way. Glad to see your work here again. thanks for the kind feedback guys !!!!!!!!!!!! thankyu naturescapes for the EP.